It’s a bit of a whirlwind, stepping into an unfamiliar airport. My friend and I had a fairly straightforward drive over to JFK from Manhattan, heading out around five hours before our departure. Thanks to my flights being covered by Northwestern’s Student Activities Grant, I had the opportunity to spend a few days in the less-windy city with friends before the main event. This wasn’t the typical early airport hijinks. She and I weren’t going to the same terminal, state, or even country: she was going home to Orlando, and I to Israel. I arrived with quite possibly the most-stuffed carry-on to grace the halls of JFK. The signs to Terminal 1 were straightforward, and they matched the information emailed up to this point . The subject line “Birthright” has become somewhat commonplace in my Northwestern email inbox. I beat the crowd (some forty-odd students) and had a chance to phone home with updates before our scheduled meetup. The first group huddle was a quick one — sign your name here, double check your passport, fill out a name tag. I wasn’t the only one with a freshly-minted passport for the occasion, and I certainly wasn’t the only one leaving the contiguous United States for the first time.¹ Nothing had begun except for the meeting of familiar faces not seen since the middle of June. It wasn’t exactly the best time and place for a catch-up, but at least we knew we were all headed for the same place. ¹It’s at this point that my mom would want me to point out that I have left the country once — a wedding in London when I was two. My passport had since been lost and my vocabulary somewhat expanded since then, so we won’t count it. 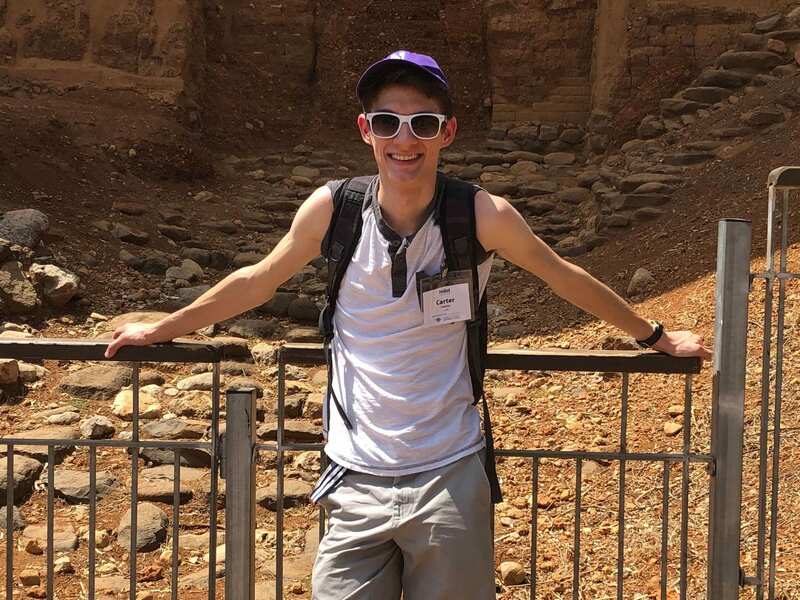 We had a chance to see some of the oldest synagogues in the historic city of Tzfat! 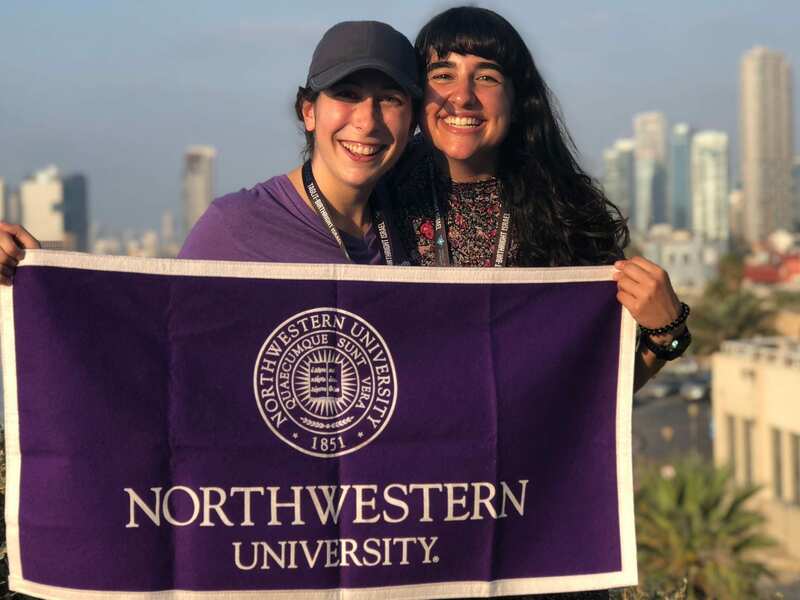 A little bit of frenzied chatter reigned in by Becca and Natalie, our Northwestern Hillel trip coordinators, and the check-in process began. Bags ranged from absolutely stuffed (mine) to absolutely humongous (what I wish was mine). Small chat with the Brussels Airline attendant notwithstanding, they printed our boarding passes in short order. Bags whisked away, our huddled masses waddled over to the dreaded airport security. 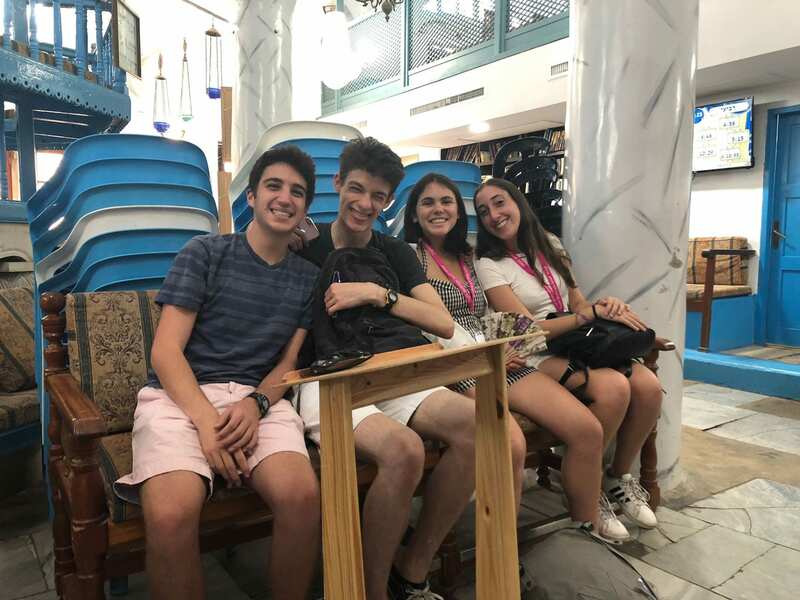 Far from the stuff of a very different kind of travel blog, our Jewish-identifying cohort passed the metal detectors with flying colors (college does lend itself to testing well!). It wasn’t until all of us were sitting in a circle and playing those get-to-know-you name games that I realized just what it meant to be with this group of people. The forty of us were going to be together for the long haul, abroad and in an unfamiliar place. In no time, it was time to board. As far as international flights go, they were shockingly similar to the flights I’m used to stateside. The air of anticipation subsided somewhat as we settled in for six and a half hours of books, movies, and naps. Sunset from our temporary home in Eliat. Birthright can come as an unfamiliar concept for some. 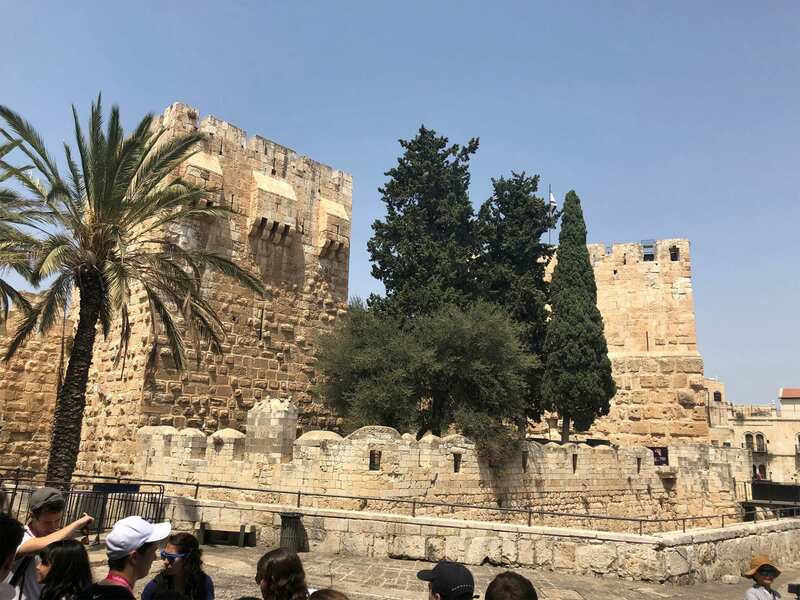 The mission of the trip was to introduce Jewish people from all walks of life to experience not only what it meant to be Jewish, but what it meant to live in Israel. 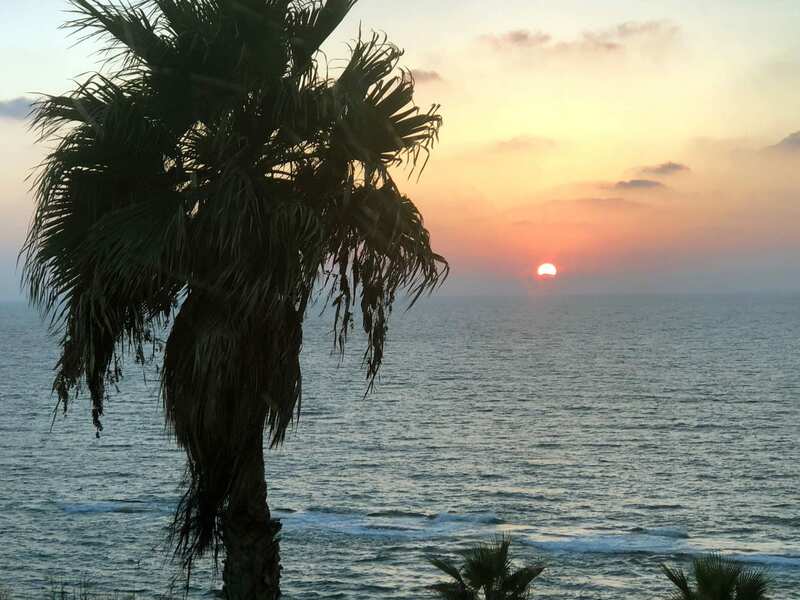 Our trip took us across the entire country: to the northernmost point and Israel’s border with Syria to the bustling spoke-shaped streets of Tel Aviv. We had an array of hotels laid out for us – each offering a unique perspective on the life of a traveler. The days included most of our meals, with a bit of leeway to spend shekels here and there. 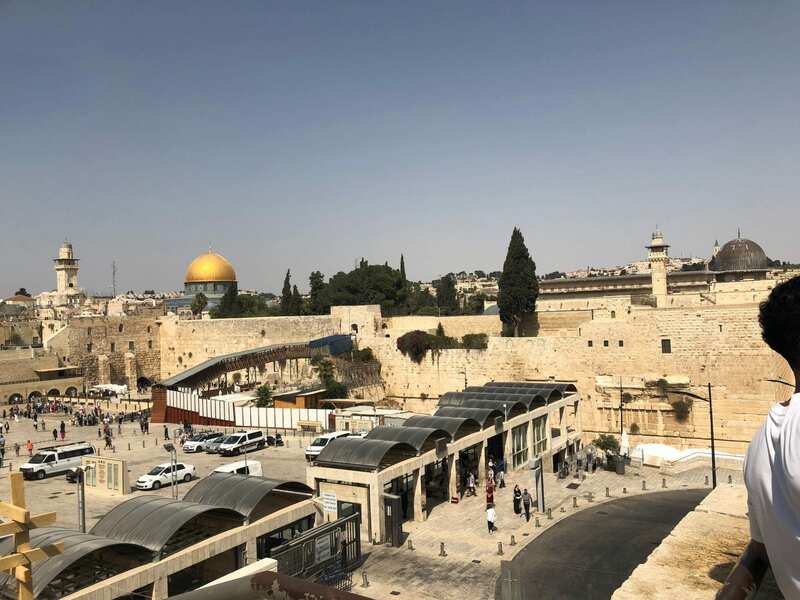 I definitely spent more time than I would like to admit prowling markets (they’re very different between historic Tzfat and Tel Aviv, wouldn’t you guess!). The irreplaceable part of this trip was the people I got a chance to spend it with. There are so few opportunities to experience international travel in this way: not only with people who you share so much in common with (at least one identity!) but with people who are also privy to the day-to-day demands of student life, Northwestern or otherwise. It was an opportunity to switch bus partners like in middle school and enjoy a little slice of life from everyone. Whether it was Maddie’s beautiful relationship with her mom or Ben’s unfailing humor at even the bleakest of topics, there was not a person I walked off that bus after 10 days who I wouldn’t want to get coffee with next week. The facilitators of the trip, Northwestern staff and now our friends, had their own perspectives and laughs and humor that I wouldn’t have traded for the world. They were a rope that held the forty of us together through difficult subjects and the harsh realities of the world. 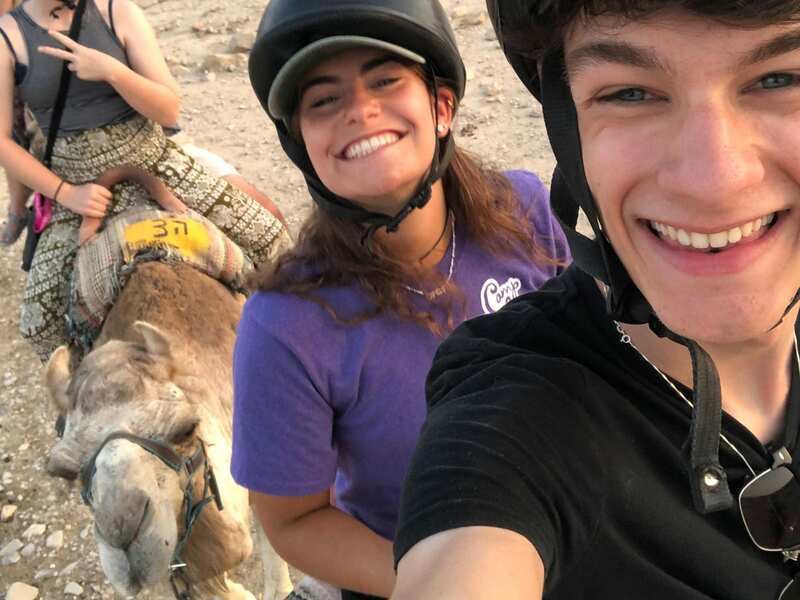 We spent a night at a Bedouin Encampment in the desert and had a chance to ride camels! 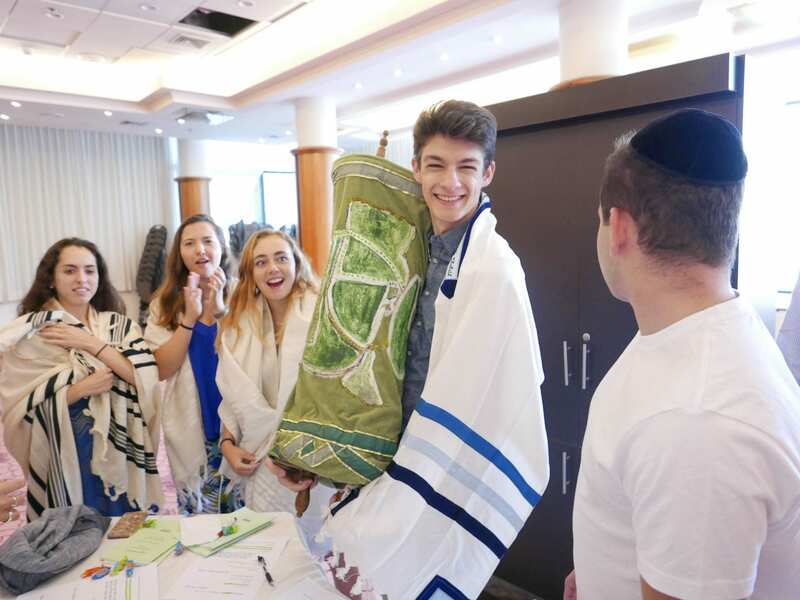 As a part of Birthright, we had the option to have a Mitzvah! It was a huge celebration of identity and friendship, as well as a great morning! The trip meant so much to me in terms of the types of journeys I was able to take. It had the spiritual aspect of an identity I had never fully grasped. It brought to the table a lot of questions to the table on what it means to be kind and trusting and compassionate towards people who live in a vastly different world. It was a physical journey in every sense of the word. It was a journey that transcended language and cultural boundaries, comfort zones and social limitations. Our coordinators, Natalie and Becca, were a HUGE part of what made the trip so meaningful.